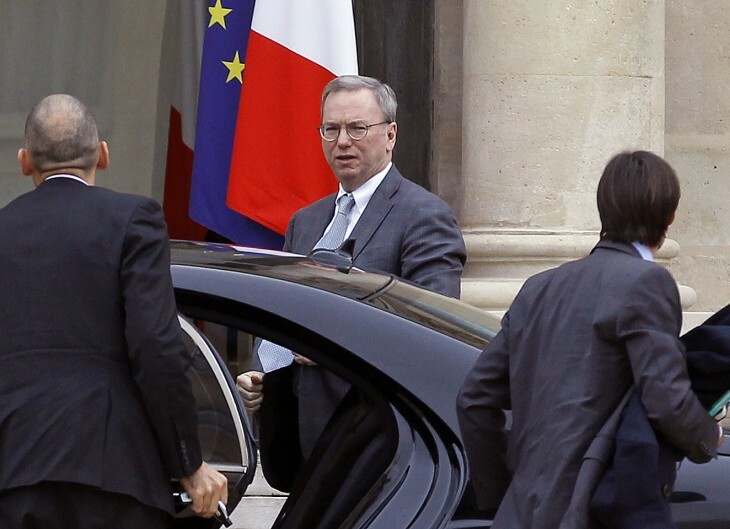 The recent spat between the French government and Google demonstrates that traditional media will not give in to the powers of disruption without a fight. The result, whatever it may be, is highly unlikely to be in anyone’s interest. If, for example, the French media companies are successful in convincing the country’s parliament to pass a law demanding that Internet aggregators pay royalties to media companies for snippets of their content, Google is likely to drop those companies from its search engine. Google would take this dramatic move as the precedent of a pay-for-limited use agreement would potentially undercut its business model and threaten the golden goose that keeps the company flush with cash and thus capable of continuing its rapid pace of innovation. Despite having the upper hand such an outcome is not in Google’s interest, since its strength lies in being all-knowing and having an ability to demonstrate expertise in every subject, not just some. By excluding French media companies from its index Google risks opening the search market to increased fragmentation by ceding the ground for search on certain topics to someone willing to pay to own it. At the heart of the battle is the argument by traditional media companies that they provide the raw materials Google uses to fuel its services and should therefore be entitled to their fair share of the corresponding bounty. Google, on the other hand, claims only to organize and make accessible information that is already freely available. If media companies don’t want their content to be easily found through its search engine, Google argues, they simply need block Google’s crawler from indexing them. What underlies the debate however is a larger issue of how traditional media companies are going to survive the transition from the offline world of scarcity to the online world of abundance. Desperate for new sources of revenue, many of the world’s most renowned traditional media companies find themselves on the brink of collapse. Such a scenario not only threatens an entire industry employing thousands w0rldwide, but also the very foundation upon which strong democracies are built. If print publications are under threat from the internet, many ask, why don’t traditional media companies simply stop printing newspapers and instead focus on producing online content where the potential audience, no longer restricted by a limited distribution model, is much larger? First, more and more non-traditional media outlets are gaining a larger share of the audience thus creating more competition for advertiser spend. What money is being spent online then is being spread out further and further. Second, the valuable proprietary audience data online publishers can offer advertisers is becoming less of a competitive advantage as the online marketplace matures. With the increased sophistication of advertising exchanges such as Google/DoubleClick Ad Exchange and Yahoo!’s Right Media, both of which allow advertisers to target and re-target users across multiple properties, media companies can no longer claim privileged access to their audience’s likes, needs and desires. The gap, therefore, between premium, directly-sold advertising and remnant ads sold through a third-party is closing much to the old-world incumbents chagrin. Third, the anticipated shift of advertiser budgets from offline media to online media has yet to materialize and likely won’t do so in time to save the industry. Though online advertising spending continues to increase at healthy rates, traditional media companies join Internet giants such as Google and Facebook in trying to crack the nut of monetizing mobile traffic which is gaining as a larger share of their total readership. All of this is to say that simply relying on online advertising is not enough for traditional media companies carrying the excessive costs of a legacy print business. What’s needed then is a new revenue source that will allow traditional media companies to diversify and ensure stability over the long term. The news, as Jeff Jarvis is want to point out, has never paid for itself and has always relied on some other business model to subsidize its production. With Craigslist and eBay offering classified ads for free and thus undercutting that source of revenue, many wonder what business model will be left for media companies to sustain themselves. The truth is, however, there isn’t and never will be any one business model that will support the media industry as a whole, since abandoned revenue-positive business models are hard to come by. Some, such as the New York Times and the Wall Street Journal, have imposed static paywalls under the assumption that people will pay them for content they can easily get free elsewhere. While some niche content providers will likely survive on content alone, others will simply cede more ground to their low-cost competitors and thus ensure their own long-term irrelevance. Aside from the success of the odd paywall, replacing the old media business model will not be one solution but a multitude of solutions. Media companies will need to leverage their assets such as relationships with customers, advertisers, and content producers to create new economic opportunities along with developing and incorporating exciting technologies that re-define how we consume information. Aside from business models we also need to reconsider exactly how the news is produced and the role of the media company in this process. As The Guardian reminds its readers, comment is free, and as such it is too shortsighted for media companies to try to insist on a distinction between news producers and news bloggers/aggregators. Furthermore, media companies will also have to recognize and come to terms with the blurring of those who consume information and those who produce it. In such a scenario, for example, the role of the newspaper editor and writer needs to be re-imagined such that the quality of information continues to remain high while the cost of obtaining it remains low. Finally, we cannot negate the role that traditional media companies play in producing what is essentially a public good. Given its special status we citizens must also re-think whether or not we want to rely on for-profit and sometimes agenda-driven media companies as well as state-controlled organizations to filter the information we consume. One solution, for example, is found in Uruguay, where the daily newspaper La Diaria is built on a model of radical transparency and accountability. The governance of the newspaper is ensured by the same individuals it is meant to protect. The opportunity for social enterprises like La Diara to shape how we consume information is massive and only beginning to reveal itself. The attempt by the French government then to impose a ‘Google Tax’ is simply a stop-gap measure designed to try to throw a rope to a dying industry drowning under the weight of its own inaction. Aside from failing to solve the problem it sets out to address, a tax on aggregators will have a chilling effect on the evolution of French internet companies as it limits and discourages innovation around how we organize and access information. The outcome will surely be to stunt the potential growth of a knowledge economy in the already economically vulnerable France, forcing more of its entrepreneurs to leave for the greener pastures of Silicon Valley and its spin-off communities. Even more so, history has proven itself unkind to nations that resist the encroachment of creative destruction brought about by technological innovation, and France might be wise to take note. Rather than rely on governments to step in and solve the industry’s problem, traditional media companies need to stop resisting innovation in their industry and instead embrace it. While there is no doubt that, as the saying goes, “information wants to be free” the excessive demand unleashed by ubiquitous connectivity means that the potential for a diversity of business models abounds. The solution though requires a fundamental re-think of how we create and consume information, and if traditional media companies are unwilling to lead the charge then young internet entrepreneurs around the world will take up the challenge. Everywhere, that is, except maybe France.